Are you looking for how to conduct a SWOT analysis or a free SWOT Analysis template? Look no further. 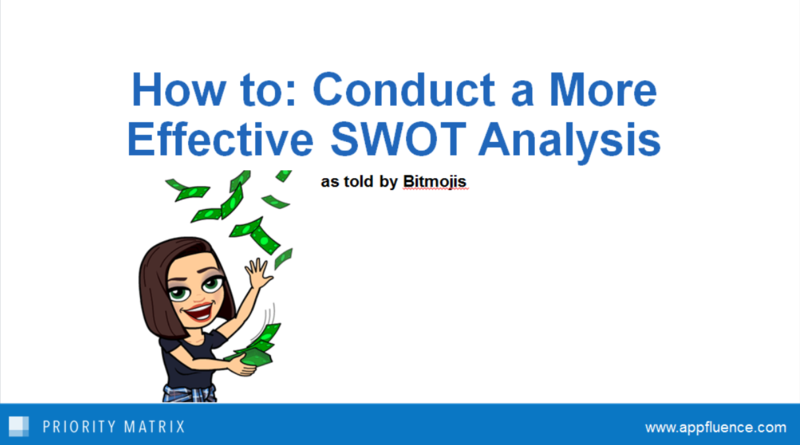 Note: If you’re a visual learner, download our SWOT analysis slide share, below, instead! A SWOT analysis is a structured form of analysis used to evaluate certain business ventures or projects. This form of analysis is a great way to compare your business to others in your industry, or decide which route to take when two projects are in competition to decide which should be implemented next. As denoted by the name, a SWOT analysis constructs of four categories, strengths, weaknesses, opportunities, threats. Decide what area of your business you would like to focus your analysis on. Start with the end in mind; by the end of this analysis, you should have a concrete takeaway that you can act on. After determining your objective, choose the team members who you would like to involve in your decision making team. If you’re deciding between two new products to develop, for example, this may team include your CEO, top product manager, and lead engineer. Evaluate strengths in your plan. Do you have enough funding to accomplish your objective? Are your personnel equipped to handle the new responsibilities this project will bring? Do you have an edge over your competitors? List the potential roadblocks in your plan. This could include things like problematic timelines, or lack of resources. Be honest with yourself and your team, as items in this list must be taken seriously. Opportunities are potential areas that could benefit from your plan. If you are working on a new marketing campaign, for example, this could be an absence of content aimed toward your target audience. Threats are related to weaknesses, but different in that threats are potential external issues, whereas weaknesses are internal. The first place to look for threats is in your competitors’ products, plans, or strategy. Examine your results to establish concrete steps that should be taken. Are there any weaknesses that need to be remedied immediately? If so, how will you fix them? Next, choose which strengths you will leverage to take advantage of your opportunities. By following this 7 step process, you and your team can quickly determine which direction to take, and establish an efficient process for doing so. 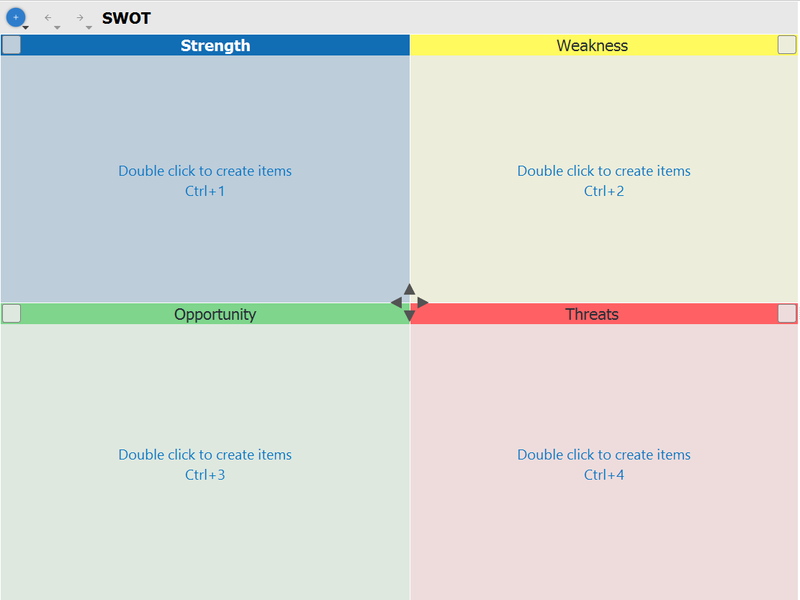 Need a free SWOT template? Check out Priority Matrix. The app comes pre-loaded with this free SWOT template, which allows you to effortlessly conduct your next SWOT analysis. The app not only proves you a template in which you can conduct your analysis, but also allows for easy re-ordering of items in the list, and one-click delegation. When you finish your analysis and determine what your action items will be, collaborate in Priority Matrix to meet your objective! Learn more. For more on SWOT, check out this SWOT Analysis Tutorial!